ShortScale :: View topic - Modified Epi pickups? 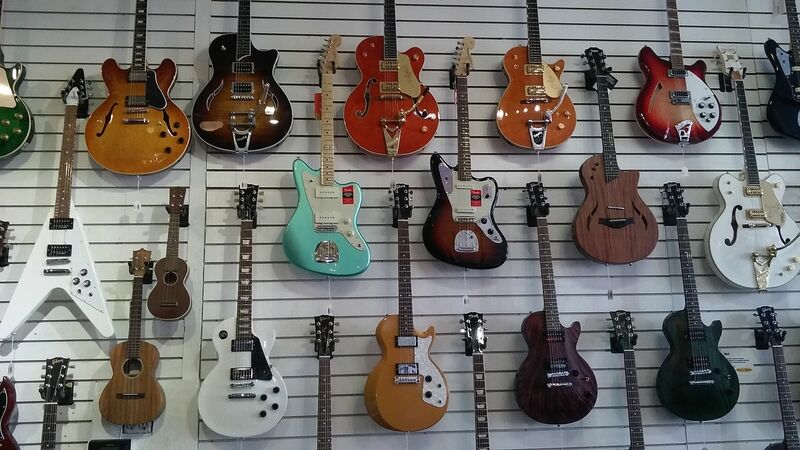 Posted: Tue Mar 14, 2017 3:11 pm Post subject: Modified Epi pickups? 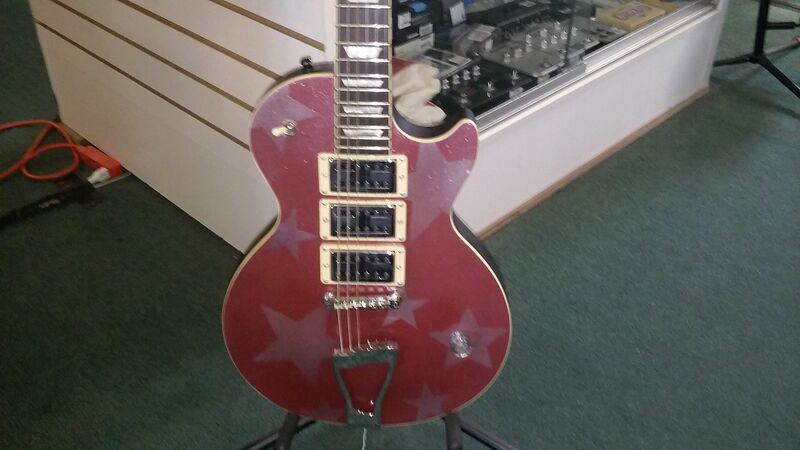 Saw this modified Epiphone LP at a local store.Thought it was kinda cool.They want $200 for it.What are those pickups? Either GFS or Artec, or they just put those covers on. Weird they plugged the tailpiece and other controls, maybe it's not an Epi. Yeah the shop may have just decided that it is an Epi because of the TRC. 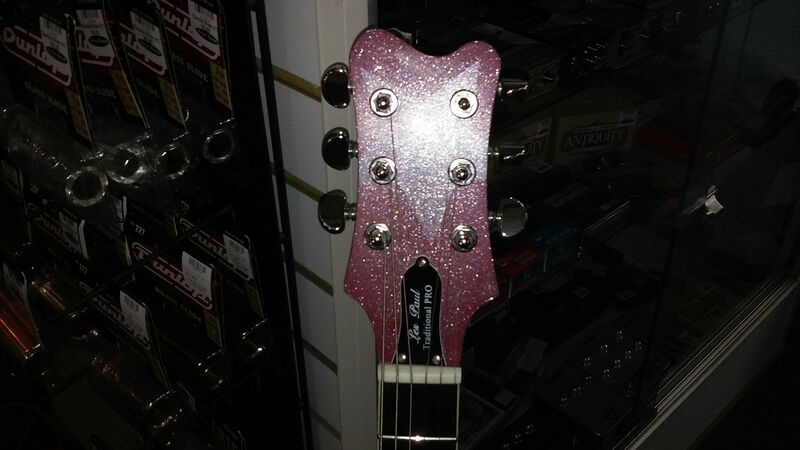 I thought the same but to me the headstock looks close enough to an Epi with a reshaped top. The top carve doesn't look right either, though, so maybe a bolt-on mish-mash? Truly a one of a kind piece! 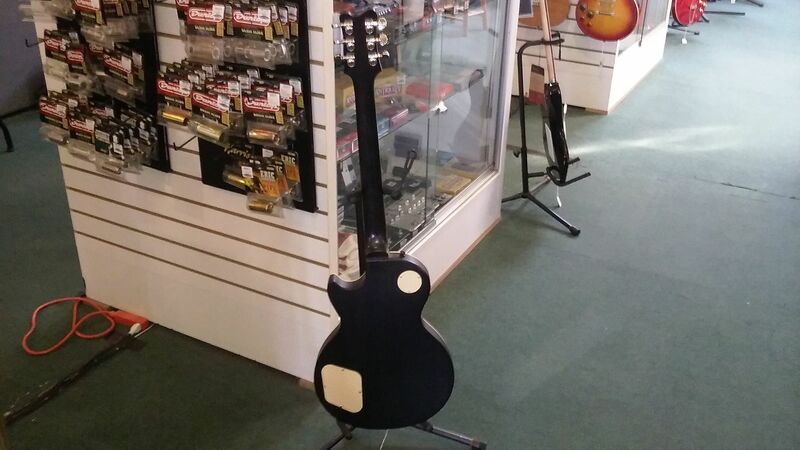 Comes with a gig bag! This was once an Epiphone Les paul, and is now something completely different. You've got to see it to belive it! 3 humbuckers, 3-way toggle, one volume." Weird that someone would pull all the bells and whistles from this guitar and replace it with one volume control. 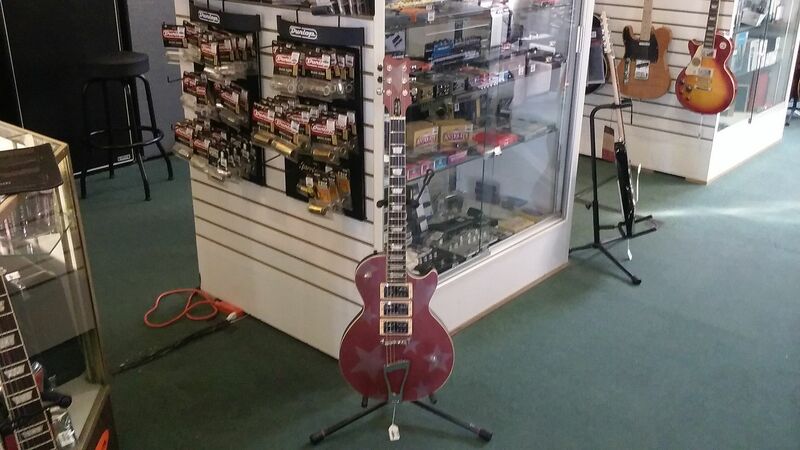 Yeah, it could be any Epiphone Les Paul (maybe not even an Epiphone) with a different truss rod cover. 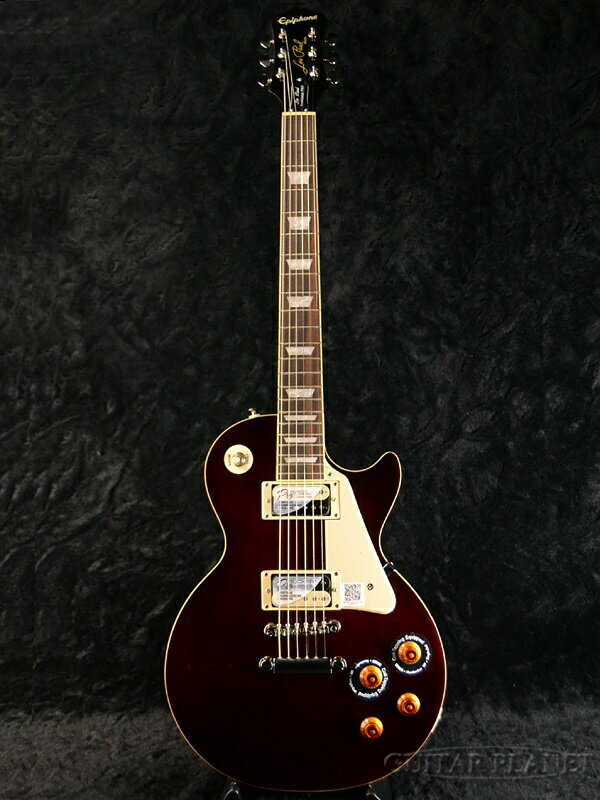 Trying to think of any arch top Les Pauls that have one pot, but honestly have no idea. 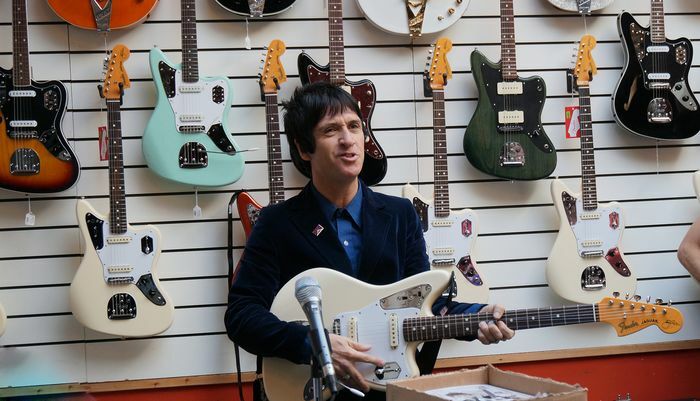 Just seems weird on such a unique guitar they decided to retain the truss rod cover which doesn't really fit in with the theme or seem a considered design choice (but that could be easily lifted from another guitar or parts bin to indicate a certain monetary value). Maybe just to give it some kind of pedigree when they sold it? Yeah, or the person who traded it in maybe did a number on the shop owner? I don't know. That said, I still really dig the look and configuration. They are pretty hip at this store so I think they are telling the truth. There is what looks like a repaired crack on the back of the neck near the headstock.Maybe that is what prompted the owner to refinish the guitar or maybe he bought it as a hulk without electronics. Anyway it looks pretty cool. 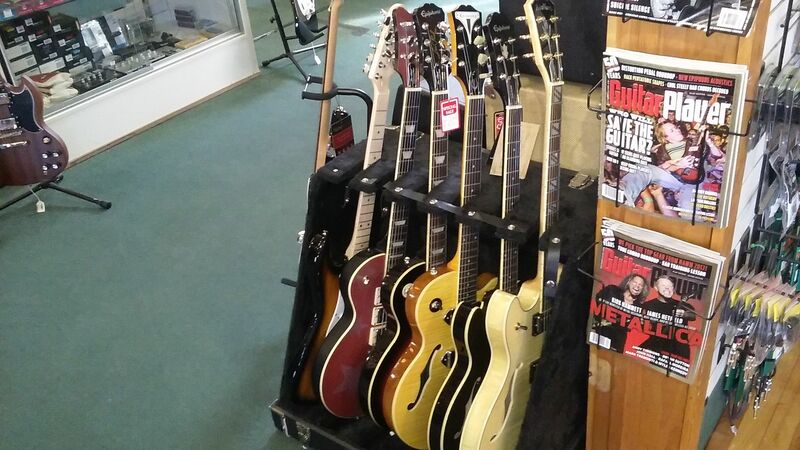 This is a cool store it is called Twin Town Guitars. Dig the Epi Coronet. 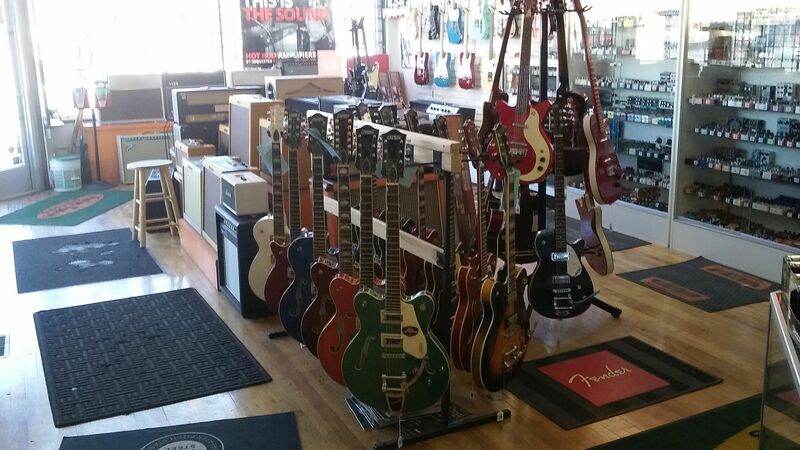 Seems like they have a TON of pedals too. I'd be in heaven with all those pedals if I could try them. 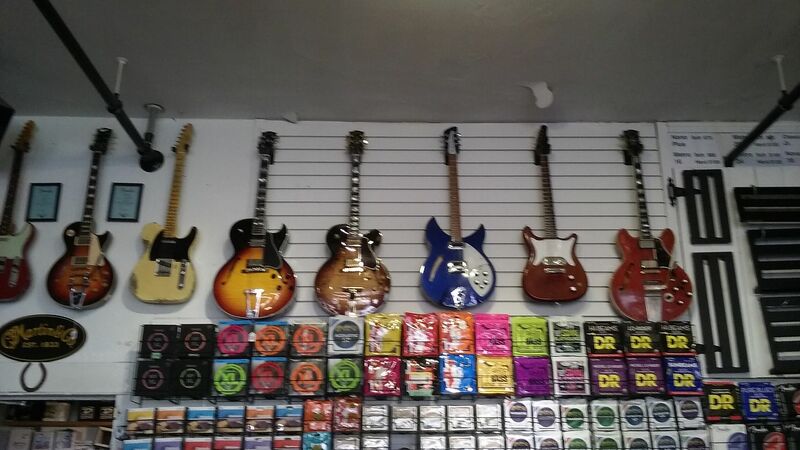 They have a midnight blue Rick 330 and a black Guild S100. I wish that store was in my town. When I first started going to that store 13 years ago they used to have alot of funky stuff like that. 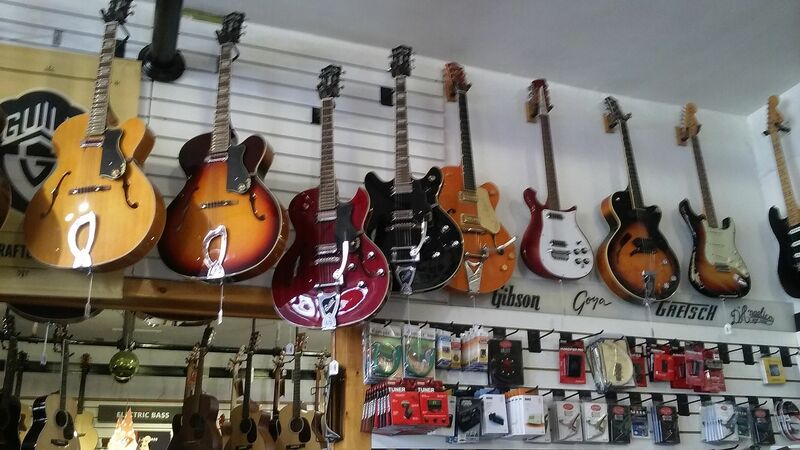 Back then they were much smaller and sold mostly used stuff.Now they are 3 times as big and carry alot of new Fender,Gibson and other brands. 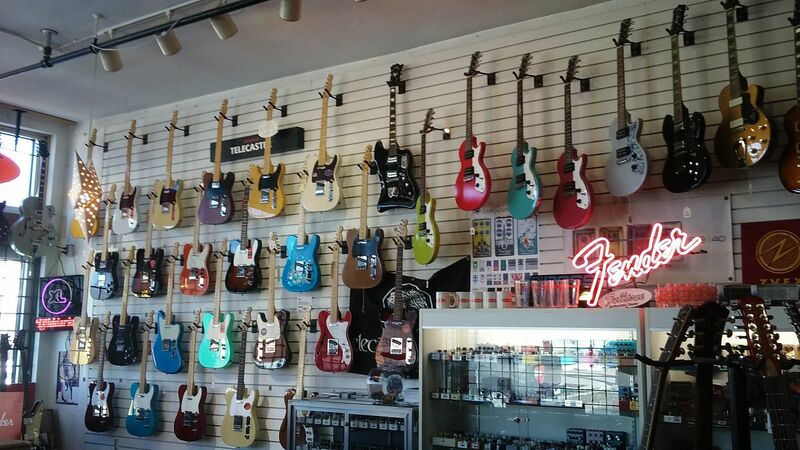 I think they have more guitars than Guitar Center and the people that work there are nicer. It's a good place to trade gear because they give you 70% of the value on trade-ins. Some times you see cool people there too. Some times you see cool people there too.